Buy online TC962 DC to DC Convertor in India at low price from DNA Technology, Nashik. The TC962 is an advanced version of the industry-standard TC7662 high-voltage DC-to-DC converter. 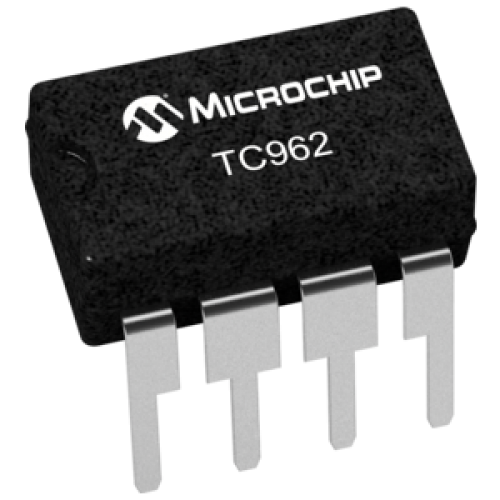 Using improved design techniques and CMOS construction, the TC962 can source as much as 80mA versus the 7662 ’s 20mA capability. As an inverter, the TC962 DC to DC Convertor can put out voltages as high as 18V and as low as 3V without the need for external diodes. The output impedance of the device is a low 28 ? (with the proper capacitors), voltage conversion efficiency is 99.9%, and power conversion efficiency is 97%. The low voltage terminal (pin 6)required in some 7662 applications has been eliminated. Grounding this terminal will double the oscillator frequency from 12kHz to 24kHz. This will allow the use of smaller capacitors for the same output current and ripple, in most applications. Only two external capacitors are required for inverter applications. In the event an external clock is needed to drive the TC962 (such as paralleling),driving this pin directly will cause the internal oscillator to sync to the external clock. Low Output Impedance 28Ohm Typ. 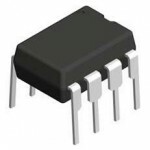 IL34063AN DC to DC ConvertorThe IL34063A is a monolithic control circuit containing the primary func..